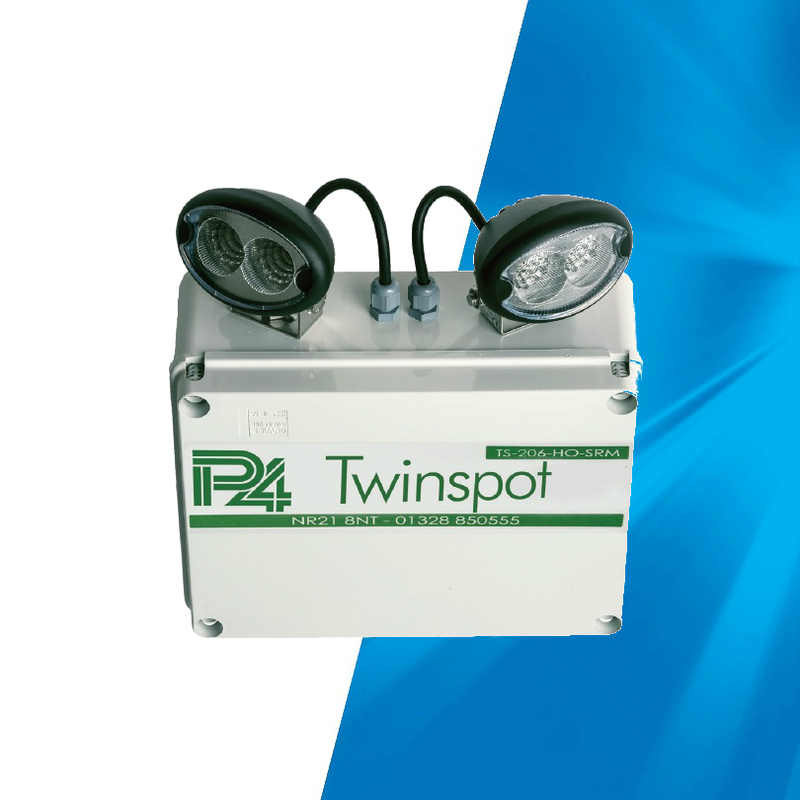 Self-Testing Non Maintained, Internal, 3 Hour, Twin Spot Fitting with two 6w LEDs. Available as standard and high output options. It has all the advantages of a P4 FASTEL emergency unit. Maintenance is kept to a minimum with fully automatic self-testing and 6-year life batteries. Battery Recharge Periods Full Duration – 24 hours. Full Capacity – 48 hours.